T-Der, short for Trans Consulting Centre, is a Turkish organization which gives advise to transgenders during their transition period. It informs them on legal and medical issues, assists them in getting familiar with their basic rights and supports them to make the transition process smoother. The organization also reports discrimination and lobbies for better legislation for the transgender community in Turkey. The I Was Reborn project aims to release a publication about transgenders and their transition period in Turkey. 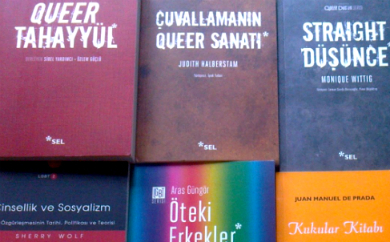 This publication will contain interviews with 30 transgenders from Istanbul, Ankara and Izmir. It will show where they went to undergo their transition, whom they consulted for legal advice and map what kind of problems they had during their transition; for example, hate speech or discrimination. The publication will be sent to judges, prosecutors, doctors, health officers, LGBTI organizations, and members of the transgender community. This project will be the first of its kind to be undertaken in Turkey. T-Der hopes it will aid transgenders in their visibility in Turkish society.